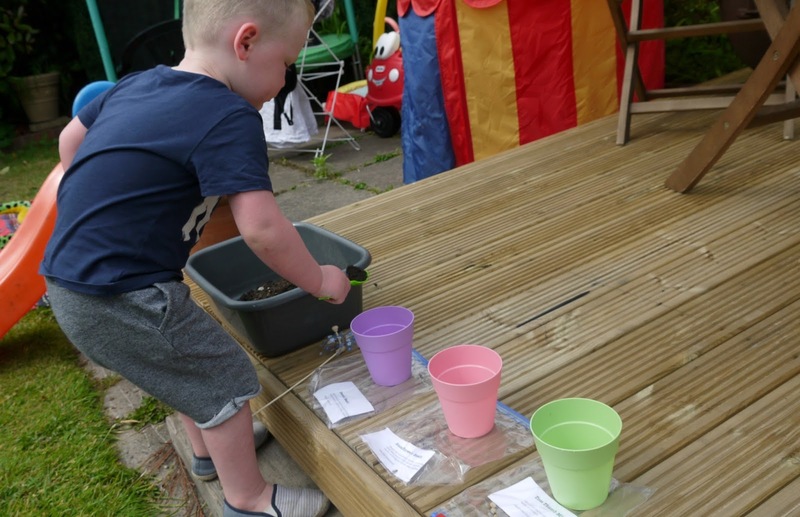 Hello lovelies, so a few days ago a lovely company 'Elm house tree services' sent me a mini gardeners kit to get kids more active in the garden and teach them how to do their own gardening. 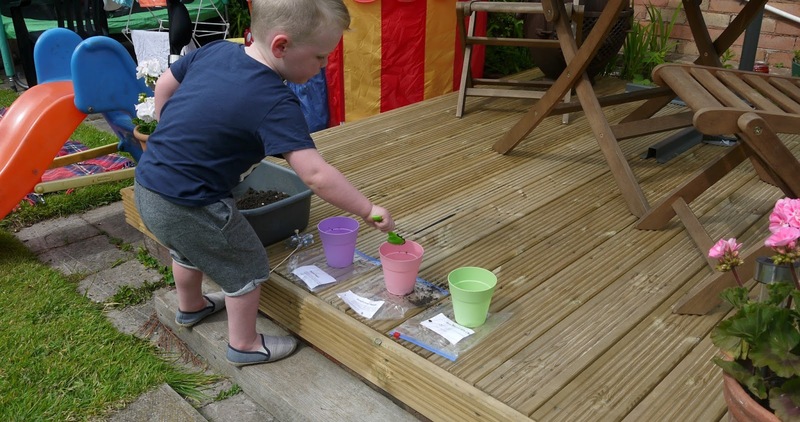 Oscar had so much fun doing this, they also have a competition on to win £50! 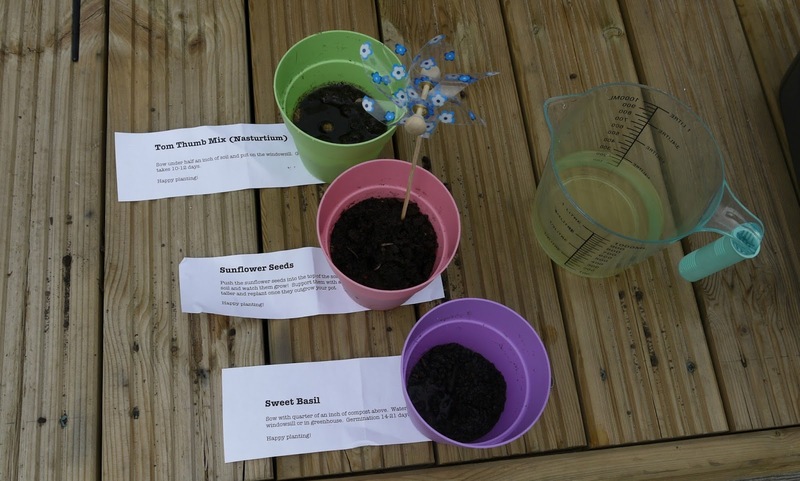 If you'd like to take part in this competition then visit this site - http://elmhousetreeservices.co.uk/blog/little-green-fingers-competetion good luck! As we have some gorgeous weather finally now in the UK it's great to get your little ones outdoors and sometimes its hard to occupy them, toddlers/children get bored easily right? They soon get fed up of the trampoline, sandpit, paddling pool etc. When Elm house sent me this goody gardener bag I didn't know who was more excited, me or Oscar?! 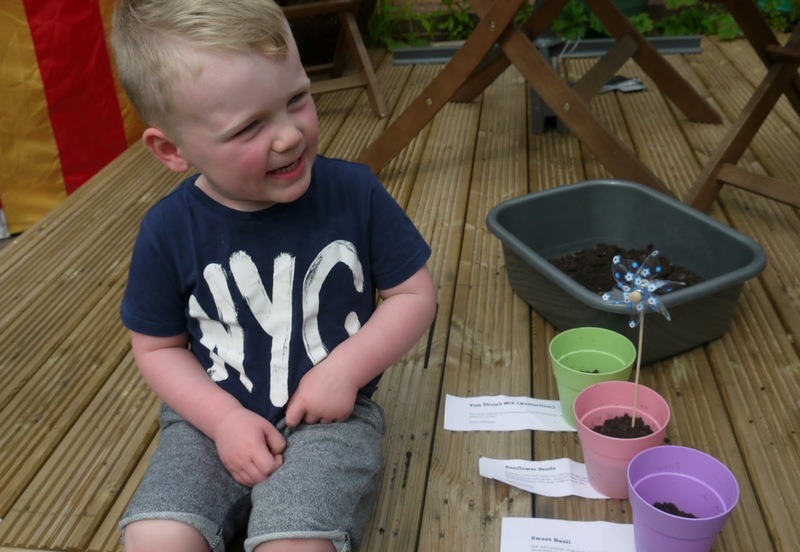 Oscar loved the idea of growing his own plants once I explained what we had to do. We got sent three super cute little pots, I got a big bowl of soil together for Oscar to make the whole process a little easier, he spooned in his soil in each pot then placed the seeds in to each different pot, I was gutted I couldn't find his cute little watering can but we found a jug! 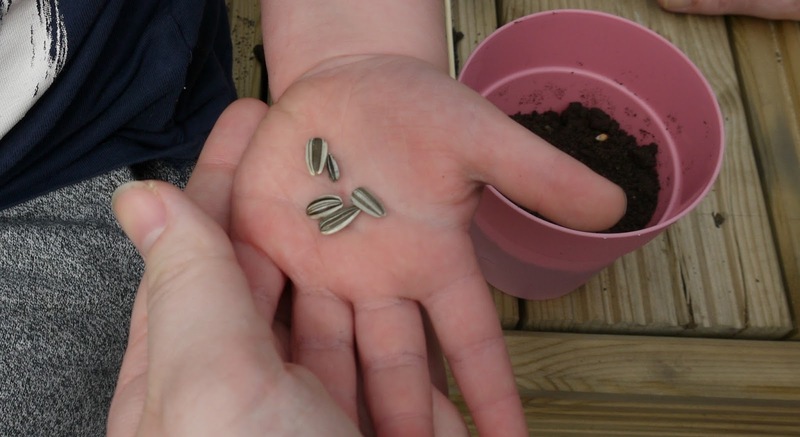 Once he made sure all his seeds were in the soil as instructed greatly by the little pieces of paper you got in each seed packet he watered them. I then placed them on our windowsill and will keep an eye out on them watching them grow, it reminded me of when I was little when I got excited about watching my cress grow. I love sunflowers so I'm more excited about those. We got Sweet basil, Sunflowers and Tom Thumb mix? 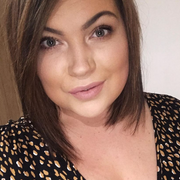 Something I have never heard of before but looking forward to seeing how they all get on. Oscar asks every morning to see his plants. 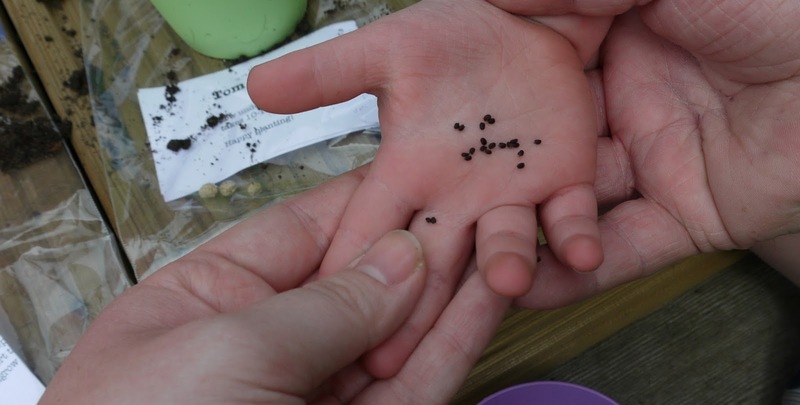 I think not only is this good for learning them how to garden and help in the garden it also teaches them how to look after something and nurture them. 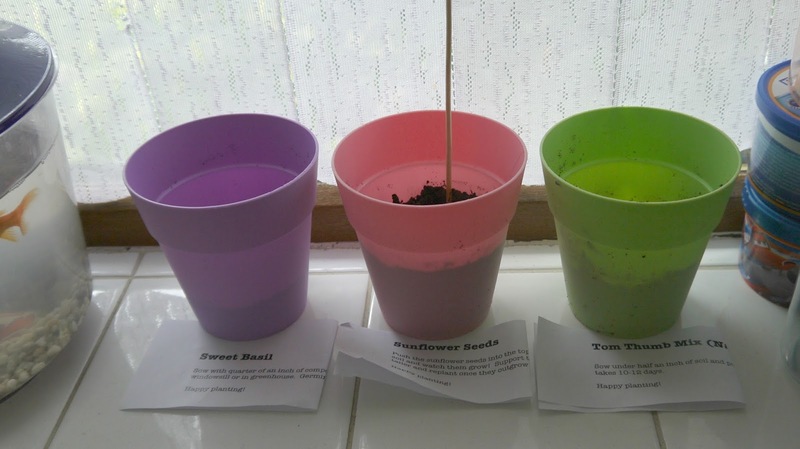 After taking part in this little task I definitely want to grow more things! We actually knocked down our green house recently as it was a risk with lots of missing glass panels but I'm thinking of getting one of this foldable ones to grow some strawberries and green beans maybe, best see how we get on with our plants first I may be useless aha. If you have little ones though I would highly recommend you getting involved and a bonus you get a chance to win £50. 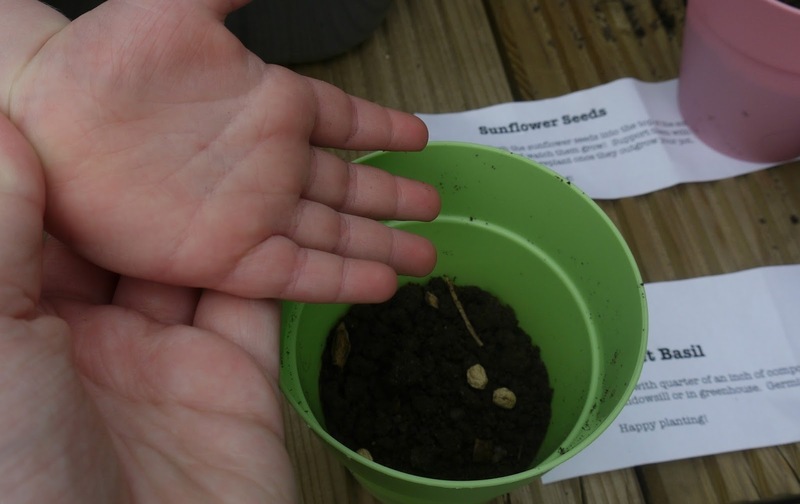 Do you like gardening with your little ones?